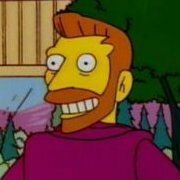 Craig Wighton and Kevin McHattie in Scottish Cup Semi-Final squads today. Unfortunately it could be a last minute decision. With both twp teams probably going to the last game to secure second place. It’s not the only factor, of course, and we could still have done much better despite it. There was nothing much wrong with the sides that led at Forfar and Brechin, for example, before going on to lose. But I’d give McGlynn the summer personally. Inherited a pretty terrible squad, hugely imbalanced, and got hit by a huge spate of injuries into the bargain. He’ll get it right. Summed it up in a far better way than I have attempted to for weeks now. Welcome to the "clique"
Still jealous your not in the group chat Frank? Nah I'll just stick to the SMALL group of fans who didn't agree with Mcglynns appointment. I'd love to know why Calderon thinks it's a small group is that based on opinions on a forum that's a wee bit arrogant. One thing I'm sure we can agree on is that it is now only a small group that are fiercely loyal ( I don't recall Jimmy Nicholl commanding this amount of loyalty) the majority have seen enough. Don't worry tho Mcglynn won't be sacked at the end of the season the only reason he might walk away is if or indeed when we get pumped out of the playoffs he takes the reaction of the fans badly. You could pretty much assume it will be far worse than Saturday's reaction. I'm yet to see anyone not say anything negative on any forum about mcglynns tenure this time round tbh. There's a difference between that and calling for the guys head obviously but even on here I'd reckon there's more people who would be happy to see him gone. Iv always said mcglynn was never a quick fix, he will give us hard work and results once he is given the proper chance to do so, I.e a summer window, where he's not picking up the scraps no one else wants. You can't polish a turd no matter how good a manager you are. It's obvious Smith knew this seing as he chucked it at a time that kept his stock relatively high. It was wrong for us not to sign a rb in January etc but who was available, within budget and we were made aware of? There's more variables in signing a player than x signed for x team so we should have got him. As much as I defend mcglynn through these things I do agree he hasn't had the impact with consistency that most of us expected. It is hard when you have such an imbalanced squad to start with, then lose Vaughan, hendry, Armstrong etc as I said, paco made that point far better than I could though. I said it was a small group of fans who thought Mcglynn did a bad job last time and didn't want him this time. Agree with what both you and Paco have said re the situation McGlynn "inherited" but, hey....don't let your actual facts and rationale you both posted get in the way of a good MUMP by the usual suspects!! Grumswall and Paco were very articulate in their appraisal of the season so far. Im right behind John McGlynn to get it right. For me a hybrid system is the only way forward. But that’s just me. If McGlynn got his way who could we get to strengthen and stem this downward spiral. To keep the feel good factor going and build excitement towards the play offs, how would everyone rank our play off disappointments. 1-5, 1 being the most gutting at the time, 5 being the least hard to take. 1. Brechin City (3-3 aggregate) - We absolutely deserved to be relegated that season. 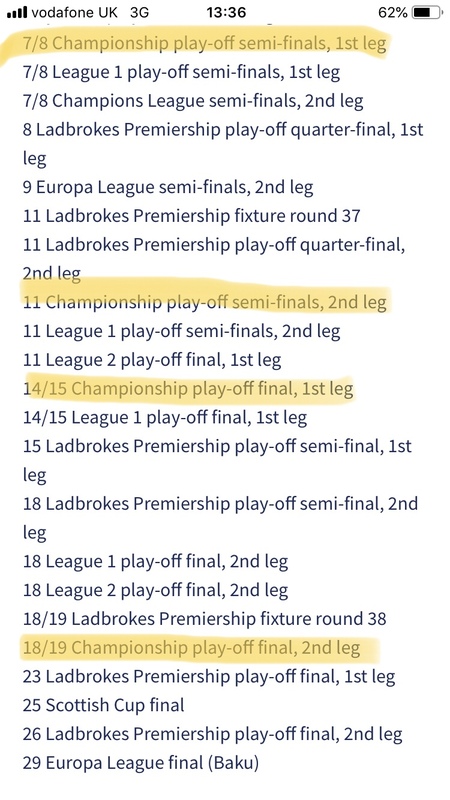 However, I remember being pretty sure it would be Alloa that would do it and thought we’d have enough about us to see off Brechin. Our away form was terrible (shock!) so after a draw at Glebe Park most of us thought we’d get the job done at Starks (given our form under Hughes was very good there) but that didn’t factor in the M’Voto horror show. 2. Airdrie (4-2 aggregate) - Davo and Fahey with another play off defensive horror show. 2 identical goals at Starks to kill the tie off in the first half. Put this second as going in I genuinely thought we had a good chance. We had beaten Airdrie in 3 of the 4 games and we finished only 6 points behind them. The terrible and entirely preventable goals killed off that hope within 40 minutes. Made worse by the fact Airdrie were beaten in the play off final but were still promoted due to Gretna (I think?) going bust. 3. Stirling Albion (3-1 aggregate) - This is a tough one. When McGlynn arrived in October we were 9th in League One and any play offs hopes seemed far fetched. However, we improved massively. The form since JM arriving through to the end of the season was actually the best in the league. Stirling were a very good side that year and were definitely better than us but we went into with a great deal of hope due to our turnaround in form. We went 1-0 up in the second leg at Forthbank but lost the lead straight away and Stirling ran out deserved winners. It was disappointing but not particularly unexpected. 4. Hibernian (2-1 aggregate) - Our one play off tie win!!! A midweek 1-0 win at Stark’s amongst building speculation about McKinnon’s future. Our form since our January signings was the best in the league I’m sure? However, I still travelled in more hope than expectation. Two quick fire early goals by Hibs put them infront and a great season kind of petered as we failed to put Hibs under sustained pressure. Made worse by Dundee United approaching McKinnon about 5 minutes after full time. Ranks slightly lower because I never seen us navigating the required 6 games to gain promotion. 5. Alloa (4-1 aggregate) Might seem strange to some that this would be the least disappointing considering we lost to a team that finished 15 points behind us. 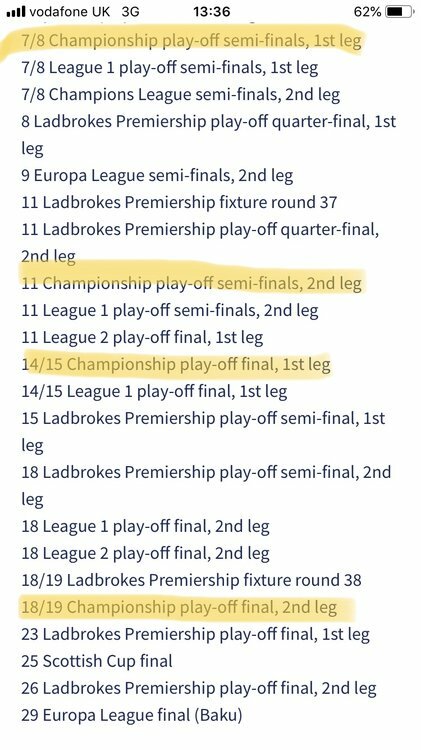 However, after the losing the title by failing to beat Alloa on the last day I don’t think there were any Rovers fans who expected us to beat them over 2 legs just days later. The inevitability of what followed lessened the disappointment. 1. Alloa. Although we had fucked it on the final day of the season, I still hoped we’d make a better fist of this. I didn’t travel to the away leg, but followed it and was in pain seeing the goals going in. I went to the home leg and saw us go 1-0 down just before half time, so that was 3-0 on aggregate against a team we had huffed and puffed against the previous Saturday. Couldn’t face the second half and left for the pub. 2. Brechin. I knew that shower of shite would get relegated so I didn’t bother going. Watched the updates from the second leg and couldn’t believe what happened. Even for our gutless bunch that was a total shitshow. The late extra time equaliser for Brechin was a blow. Then Brechin miss their first two penalties and still win the shoot out. Terrible. 3. Hibs. Went to the midweek home win at Starks. We got our one win which was nice. Didn’t travel to Easter Road but seeing the score come in was a blow. 4. Airdrie. Missed the first leg at home where we fucked it up. Went to the away leg but we were never really in it. As I recall we got a late equaliser but lost 4-2 on aggregate. 5. Stirling. I was down in London so I missed this one. Time dulls the painful memories. Do you ever actually go to any of the games? 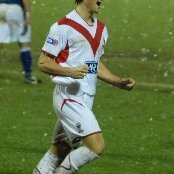 I remember that Airdrie playoff game at Starks, Allan Russell that got the 2 goals I'm sure, I remember watching one back later that night online, was it not a mental defensive mixup resulting in about an 18 yard lobbed header?? Something like that rings a bell perhaps. Allan Russell who’s now England coach??? Yeah it was two defensive howlers. I remember being raging at the time as one of your players was injured. The ref stopped play to allow treatment then re started with a drop ball. For some bizarre reason, we just kicked it up to your keeper, even though we had possession when play was stopped. If anything it should have been you giving us the ball back. Whoever it was that gave you it back was obviously not paying attention..Your keeper then kicked it up the park and you scored!